The Songbird Trail at Norris Dam State Park. 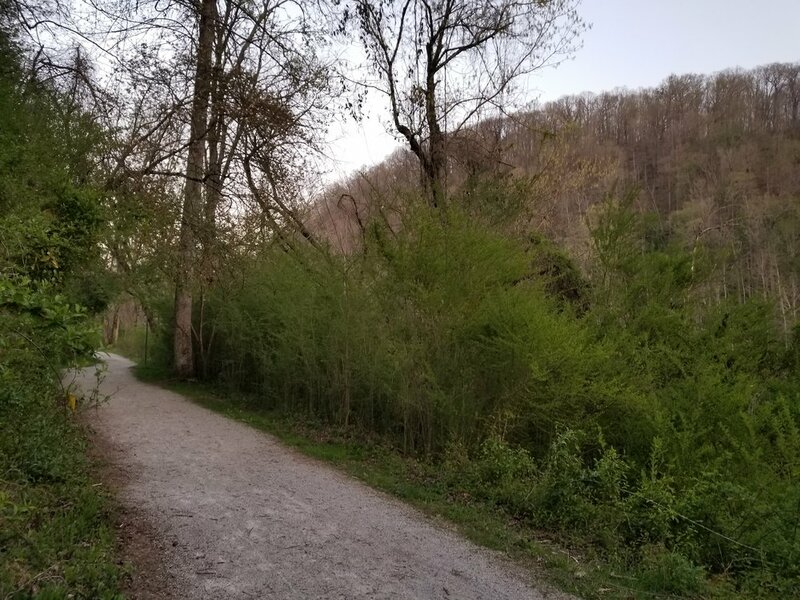 It’s a beautiful spring evening and along the swift flowing waters of the Clinch River a blue heron swoops up from the brush along the banks spreading its majestic wings before swiftly flying downstream. Just a few feet away, rustling in the trees nearby reveals a robin nearly blending in with its surroundings. This is the Songbird Trail, a two-mile loop running alongside the river at Norris Dam State Park between the Lenoir Museum and the dam. The extra wide path of crushed limestone gravel is an easy one to navigate with no hills or other obstacles. From the parking lot at the museum, a short walk takes you down to the edge of the water where a concrete overlook with railings provide a close view of the crystal clear waters running toward the Weir Dam. The sound of rushing water fills the air along with the songs of the birds nearby. According to TVA which manages the flow of the river, the temperature of the water averages 49 degrees, making this trail a great place to cool down on a hot summer day or night. Tall trees along the trail provide plenty of shade and inside the loop, lines of trees looking like they belong along the entranceway of a castle provide even more opportunities to get out of the sun, or put up a hammock, relax and gaze up at the sky. Norris Dam State Park is just a few minutes off of I-75 about 30 minutes north of Knoxville at exit 122. The Songbird Trail is close to the Lenoir Museum, the historic Grist Mill and the new Clinch River Brewery and Restaurant. Just a short drive up U.S. 441 takes you to the East and West Overlooks at Norris Dam, the first built by the Tennessee Valley Authority. The rest of the park is filled with miles of hiking trails, two campgrounds, picnic areas and the historic Tea Room. So, if you have time to do more than just the Songbird Trail, think about spending the day or the weekend at the park.